Vlambeer co-founder Rami Ismail dropped a huge surprise during the PlayStation Experience keynote in San Fransisco on Saturday: Nuclear Throne is available now on PlayStation 4 and Vita, while the Steam version officially hits version 1.0. Nuclear Throne is an addictive, pixelated action game that's amassed a cult following of more than 100,000 players since its launch on Steam Early Access in 2013 -- and this community is about to grow (or mutate). 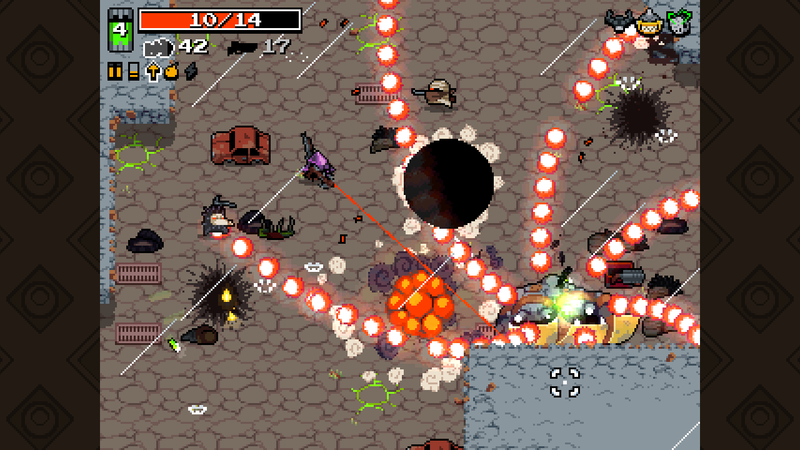 Today's launch doesn't mean work is done on Nuclear Throne. Vlambeer has been building the game on a consistent schedule for the past 33 months, with much of their work streamed live on Twitch. Every Monday, Ismail, co-founder Jan Willem Nijman and four freelancers would review feedback and devise a plan for the week; Tuesday they'd livestream development for fans; Wednesday they'd work; Thursday they'd livestream; Friday they'd wrap-up and Saturday they'd launch an update. It was clockwork for 132 weeks. "Life will feel strangely empty for a while without that constant loop at the top of our mind," Ismail tells Engadget. "I've always found the word 'bittersweet' a bit cliché, but it's a very bittersweet moment, and we hope we've done the community proud. They have given us a lot, and we hope we've repaid their trust and time and patience. We're not just dropping the game now, though -- Nuclear Throne might be 'done,' there are still some things we want to tinker with. It's been a really fun game to work on, and while we don't want to make promises, there'll be some small updates and the like in the future." Ismail says he and the Nuclear Throne team have become friends with some players as they've interacted over livestreams and updates. "The community is amazing and was completely unexpected," Ismail says. "We had hoped that we'd have a few hundred people playing along after the first few months, and to be honest -- part of that was us just being inexperienced with Early Access." Ismail expected Nuclear Throne to sell like a normally released, full game, with a big spike at launch and smaller spikes during sales. Vlambeer planned to work with a small community of dedicated players until the final release -- instead, Nuclear Throne sold more week after week, until it hit 150,000 players. These players now run a Nuclear Throne wiki, and they send in fanart, fanfiction, videos, 3D prints and woodcuts of characters, and other goodies inspired by the game's world. This level of fanaticism isn't unique to Nuclear Throne, but the feel-good vibes are rare in such a large gaming community, Ismail says. "When I leave the Nuclear Throne forums and take a glance at another games' forums, I often have to readjust for a second," he says. "The tone with which the community talks about the game and about game development has just been very thoughtful -- part of that is us taking the time to explain everything in the development livestream and on the forums, but part of that is also the community generally fostering a super positive environment." 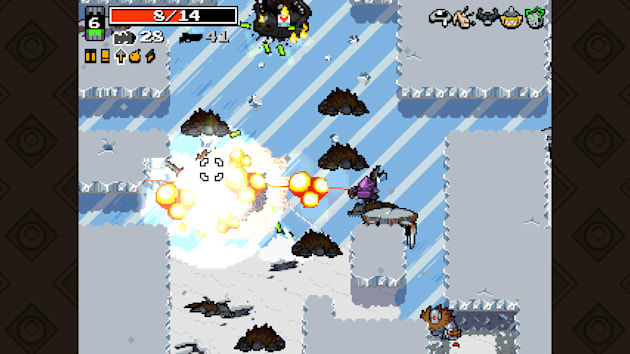 Vlambeer has been churning out successful games since 2010, including Super Crate Box, Serious Sam: The Random Encounter, Luftrausers and 2013 Apple Design Award-winner Ridiculous Fishing. Plus, Vlambeer is basically an indie icon, providing free presskit templates and game-distribution software for small studios, while Ismail himself regularly gives talks full of advice for fellow developers. It's been a busy five years. 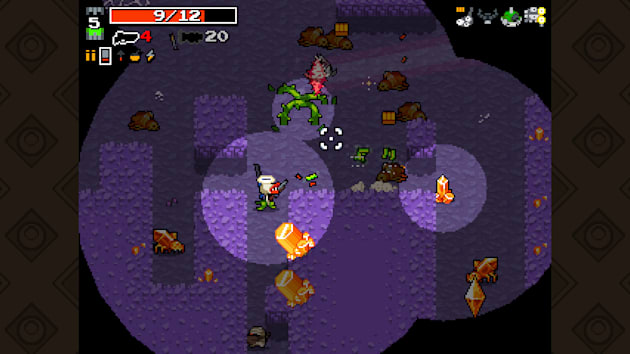 Once Nuclear Throne goes live, it may be time for Vlambeer to take a breather. Or, Ismail says, maybe not. "We're definitely taking a break, but I guess making games is such a large part of who we are that we can't really 'take a break' in that sense," he says. "While we're all exhausted and proud, you can feel new projects kind of brewing under the surface. When I was building the final patches for the game, JW was already asking when he could pitch new game ideas to work on."